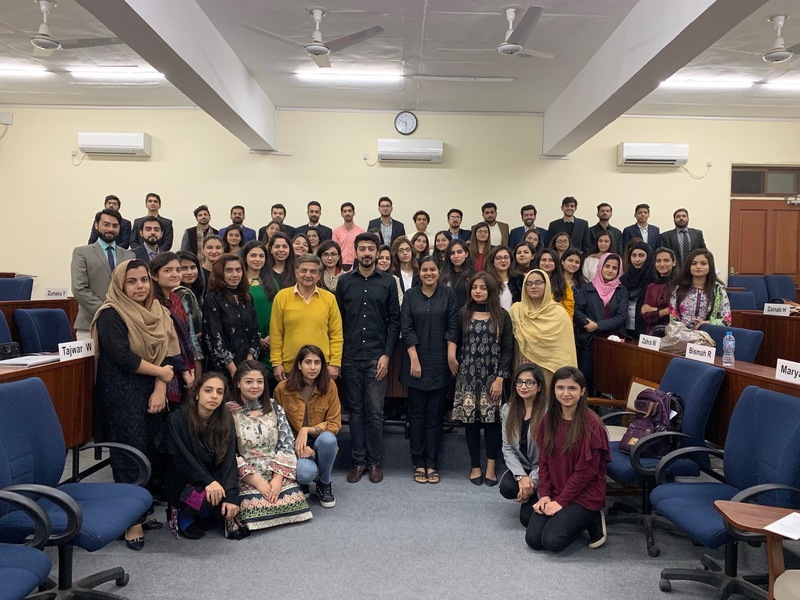 Mr. Farhan Duraiz gave two sessions on Digital Marketing with PakWheels.com as a case study to our MBA cohort in November and December 2018. Farhan opened the session by noting that 60% of Consumers want to interact with businesses online; 63% of Pakistani consumers expect brands to show them personalized content based on their purchase history (this shows they want relevant and not random content, Farhan said); and organizations that leverage customer behavior outperform peers by 85% in sales growth and 25% in gross margin. Equally importantly, mobile phones are leading the trend in the digital world. 75% of online time is spent on mobile phones. We check our phones 150 times a day. 65% of online transactions start on mobiles. But no matter how technical the world of digital marketing is becoming, at its heart lay consumer behavior. If you looked at a car buyer, he would first of all do research ask himself: Do I even need a car? If yes, what are car specifications? What will be its resale value? Then he does car search (he is at the Used Car section on PakWheels now) and narrows it down by using filters. He then may ask for the car’s auction sheet, and the credible seller may already have provided it. The consumer wants verification of the condition of the car. Also, as we know the condition of the car is a big problem in Pakistan – In UK you can check it online. PakWheels has an inspection service. PakWheels also provides a certification. The consumer wants to know about price, financing of car, insurance etc. And finally he wants to know about maintenance. At all points of the above process PakWheels can and must intervene to understand what he wants, to obtain data on him and to provide him with value which he can find useful. If we do not do this someone else will. Farhan said that one very important tool which is an advertising platform to communicate with Google and FB – It is Google Tag Manager. He also spoke about Tracking Codes of Google Event and FB Pixel. He also talked about FB Pixel Helper – if you install it you can see what other sites are recording regarding your data. Not all companies have large audiences. In fact, you might be a Startup and have almost none. What you can do is that you can create “lookalikes” or people similar to your ideal customers. Google and Facebook also provide you with their segments which they may have labeled as Travel Bugs, Gardening, Football Fans etc. 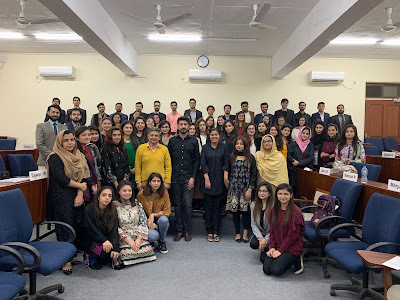 In response to a question that if everyone is doing SEO where was the competitive advantage, Farhan said: One, there still is a lot of room for improvement in Pakistan as there still is a dearth for good SEO professionals. But, two, if your customers are happy, you will win. How? They will come to your site more often, stay there more often, convert more often, talk about you more often and so on. He also explained what keywords and negative keywords were, what were organic search ads and paid ads, what were display ads, what was social media marketing, what was the difference between impression and reach, and how to measure results. The entire MBA cohort attended the sessions and the content was included in the MBA examination. 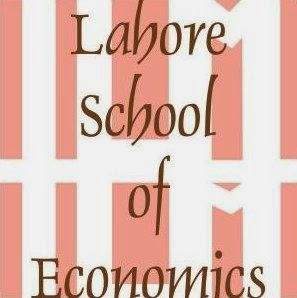 The cohort was very grateful to Farhan Duraiz, an alumnus of the Lahore School.